On the surface, Tyler Monroe has everything going for him - good looks, the respect of his friends and neighbors, and a thriving horse ranch. However, his past holds deep wounds with thick emotional scars. When a brazen, beautiful woman arrives in town, Tyler makes an impulsive decision that will make him question everything he knowns. 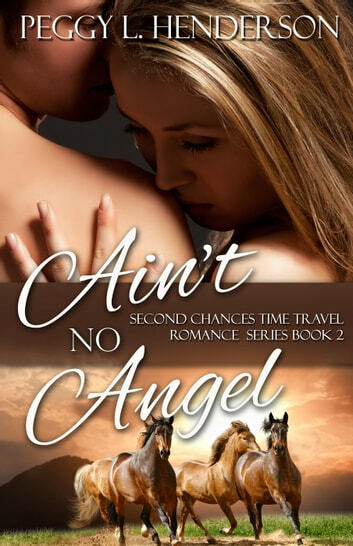 Time Travel Romance at it's Best! This series is aptly named Second Chances and no one needs one more than the heroine of Ain't No Angel, Laney Goodman. She has been running on empty since she aged out of the foster care system, and is now at a point where selling herself to keep the wolf from her door seems like a viable option to homelessness. After being given an unbelievable offer to turn her life around, she wakes up in a stagecoach in the year 1872. What follows is a page turning, action filled story of love against all odds and sibling hatred that knows no boundaries.